Having read this work countless times, both in its original form and in an updated form for the modern reader, I will say it is one of my favorite works by William Perkins. Preaching, as Perkins defines it in its context of prophesying, “is a solemn public utterance by the prophet, related to the worship of God and the salvation of our neighbors.” His texts for this are 1 Cor. 14:3, 14:24; and Rom. 1:9. Preaching, or prophesying, is done is two ways, or with two parts faithfully: preaching the Word and public prayer. The minister, then, has two functions based on Perkins’ definition, one is preaching the Word, and the other is praying to God in the name of the people. Every minister of the Gospel is to speak partly as the voice of God (in faithful preaching), and partly as the voice of the people (in praying). Preaching is speaking in the name of Christ to His people, and praying is speaking on behalf of the people to God, (cf. 2 Cor. 5:18, 20; 2 Thess. 2:13–14; Rom. 1:16; Prov. 29:18; Rom. 10:14). Perkins outlines the Bible showing the Scriptures are divided into the Old and New Testaments, where the Old Testament is the first part of Scripture written by the prophets in Hebrew (with some parts in Aramaic), and it chiefly unfolds the “old covenant” of works, (“Moses and the prophets,” Luke 16:29). “And beginning at Moses and all the Prophets, He expounded to them in all the Scriptures the things concerning himself,” (Luke 24:27). It is divided into sixty–six books which are either historical, doctrinal, or prophetic in nature, and range from Genesis to Malachi. They include historical books (as Genesis), doctrinal books (as the Psalms) and prophetical books (as any of the prophets). The New Testament is the second part of Scripture, written in Greek by the apostles, or at least by those who were approved by them (cf. Eph. 2:20). They plainly expound teaching on the New Covenant (i.e. New Testament). The New Testament contains histories (such as the Gospels and Acts) and letters (such a 1 and 2 Peter). Perkins summarizes arguments that show that these books alone, and no others, constitute the Word of God, which would exclude the contradictory books of the Apocrypha or Pseudopigripha. Perkins also deals with a number of Objections which people make against the Scriptures being the word of God, refuting each one systematically. There are two parts to preaching: the preparation of the sermon, and its preaching. Perkins says, “In preparation there must be careful private study.” (cf. 1 Tim. 4:13; 1 Peter 1:10; Daniel 9:2). This is fulfilled in certain steps. First, fix clearly in your mind and memory the sum and substance of biblical doctrine, with its definitions, divisions and explanations. Secondly, read them using grammatical, rhetorical and logical analysis, and the relevant ancillary studies, read Paul’s letter to the Romans first of all. After that, the Gospel of John. When you have completed this, study the doctrinal books of the Old Testament, especially the Psalms; then the prophetic books, especially Isaiah. Lastly, the historical books, particularly Genesis. Students should make notes of their studies for later use, and earnestly ask God for help in all their studies. In preparation for preaching, preparation has two parts: the interpretation of the meaning of the passage, and the appropriate division of it for orderly exposition. Interpretation is when the preacher opens up the words and statements of Scripture in order to bring out its single, full and natural sense, (i.e. exegesis ; exegetical study clarifies the exposition of Scripture.). With the aid of the Holy Spirit, there are three means to help preachers interpret a passage of Scripture: the analogy of faith, the circumstances of the particular passage, and comparison with other passages. On expounding the bible, Perkins says here that, “the Scriptures are to be interpreted according to the nature of the passage which is being handled. These can be classified as either analogical and plain, or cryptic and dark.” Analogical places are those whose apparent meaning is clearly consistent with the analogy of faith. Cryptic or hidden passages are those which are difficult and obscure. Perkins gives a number of examples of dealing with both of these methods. He also considers what it means that a text implies something important. He says, “On occasion it is appropriate to supply words which are lacking in the text where this is consistent with the analogy of faith and with the circumstances and words of the context.” Such examples may be anthropomorphism, the communicative properties of Christ (such as Christ being a Lamb), or sacramental language. He gives 10 points for “helpful guidance” citing examples and clarifying these issues. Next, he covers the various figures of speech, showing how grammatical and rhetorical properties of words indicate their different nuances of meaning. He concludes his chapter by dealing with apparent contradictions, how to handle them, and using a number of instances such as the calculation of years in a certain passage, or the consideration of various ways to see a period of time. The application is the most abused and difficult part of modern preaching. Perkins says the, “application is the skill by which the doctrine which has been properly drawn from Scripture is handled in ways which are appropriate to the circumstances of the place and time and to the people in the congregation.” First the minister must know whether the passage is a statement of the law or of the Gospel, and Perkins shows seven ways in which application should be made, in keeping with seven different spiritual conditions. They include discerning the categories of the hearers (saved, lost, believer, unbeliever). Those who are teachable but ignorant. Those who have knowledge but have never been humbled. Those who are afflicted with some difficulty or cross. Those who have already been humbled, but need guidance. Those who are already stronger believers. Those who have fallen back in some way. And the typical situation is a church mixed with believers and unbelievers. There are two kinds of application: mental and practical. Mental application is concerned with the mind and involves either doctrine or reproof (2 Tim. 3:16–17). Practical application has to do with life–style and behavior and involves instruction and correction, (instruction enables Christians to live well in the context of the family, the state and the church, etc., involving both encouragement and exhortation (Rom. 15:4), and correction is the application of doctrine in a way that transforms lives marked by ungodliness and unrighteousness). Perkins then defines and explains doctrine, reproof, instruction and correction knowing that preaching involves all these based on 2 Tim. 3:16–17 and Rom. 15:4. In actual preaching, there are two essential ingredients: 1) the hiding of human wisdom, and 2) the demonstration or manifestation of the Spirit. The “demonstration of the Spirit,” (1 Cor. 2:4) is the reality which preachers should be striving for. This becomes real when, in preaching, “the minister of the Word conducts himself in such a way that everyone–even those who are ignorant of the Gospel and are unbelievers–recognize that it is not so much the preacher who is speaking, but the Spirit of God in him and by him,” (cf. Mic. 3:8; 1 Cor. 2:4; 14:24–25; 4:19–20). This is what makes his ministry living and powerful (Luke 11:27). Such a “demonstration” will come to expression either in speech or in gesture. Gracious speech expresses the grace of the heart (Luke 4:22; John 7:46), and this grace is seen in the grace of the minister, and the holiness of his life. Holiness involves the following elements for the preacher: 1. A good conscience (Acts 24:16; 2 Cor. 1:12; 1 Tim. 1:19). 2. An inward sense of the doctrine which is to be preached. 3. The fear of God. 4. A love for the people (1 Thess. 2:7). 5. The minister must also be worthy of respect for his constancy, integrity, seriousness and truthfulness. 6. He must be temperate, inwardly restraining any strong feelings, (1 Tim. 4:7). The grace of the minister consists in: 1. Ability to teach (1 Tim. 3:2). 2. Authority, by which the preacher speaks as the ambassador of God Most high (Titus 2:15; 1 Pet. 4:11). 3. Zeal, so that, in his longing for God’s glory he will seek through his ministry to fulfill and effect the decree of God’s election of men and women to salvation (Job 32:18–19; Col. 1:28–29; 2 Tim. 2:25). Perkins says, “The subject of public prayer should be, first, the deficiencies and sins of the people, and then the graces of God and the blessings they stand in need of (1 Tim. 2:1–2).” The Lord’s Prayer is a useful tool in that it covers these areas under six headings: God’s glory, God’s kingdom, and our obedience, the preservation of life, the forgiveness of sins, and the strengthening of the spirit. The prayer should be that of the minister alone, who should lead in prayer, the congregation joining in silently but indicating their agreement at the end by saying, “Amen,” (Neh. 8:6; Acts 4:24; 1 Cor. 14:16). The one voice which expresses the corporate prayers of the congregation needs to be understood (1 Cor. 14:15). It should not lead in prayer in a jagged and abrupt fashion, but with a steady flow of petitions, so that empty repetitions are avoided (Matt. 6:7). And there are three elements in praying: (1) Carefully thinking about the appropriate content for prayer; (2) Setting the themes in an appropriate order; (3) Expressing the prayer so that it is made in public in a way that is edifying for the congregation. 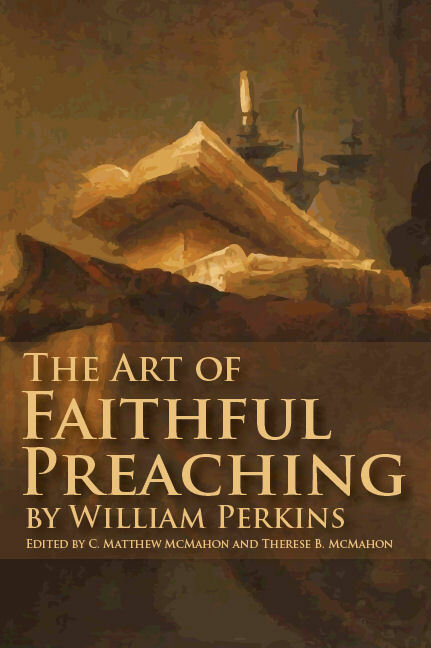 The setting for Perkins’ “Calling of the Ministry” is taken from two main passages, Job chapters 32-33 with emphasis on 33:23. The second part of the work covers Isaiah 6:5-9. In his introduction, he introduces Job 32-33 and explains that the point of the passage is that, “in [God’s] mercy [he] uses means to preserve sinners from falling into sin. But if they fall, then in even greater mercy he provides means and helps to restore them. This is the sum and substance of the passage.” Perkins focus is on the means and remedies. What follows is a brief study of these marks of a true minister. Perkins says that the words in Job contain, “a valuable description of a true minister.” He shows this by breaking down the passage in five ways: 1. By his titles (a messenger, and an interpreter). 2. By his rarity (one of a thousand). 3. By his office: (“to declare his righteousness”). 4. By God’s blessing to his labors (“Then he will have mercy upon him”). 5. By his commission and authority (where God will say, “Deliver him, that he go not down into the pit: for I have received a reconciliation”). The titles of the minster demonstrate his office. The first is “messenger,” (or angel), showing God’s Word must be spoken, and it must be spoken as God’s Word. In this way ministers show their faithfulness to the Lord in sincerely discharging the message which he has honored them to carry. They magnify the Spirit of God, and not themselves, in their preaching of his Word (which is the exact opposite of most modern evangelical preachers today who want to tell the congregation stories and illustrations about their life). In this, there is also an important application to hearers, who should hear the preacher gladly, willingly, reverently and obediently. As much as most ministers would hate to hear this portion of the work, I personally think it is not only important, but faithfully interpreted. The minister is “one in a thousand.” Put it to theoretical use – and gather up 1000 ministers from your local area and you can find one who can, “show a man his sin.” Perkins says, “not one of many is a right angel and a true interpreter.” He then gives a number of reasons why men do not go into the ministry (in his day). Some despise the calling, some do not want to be hated, some see the difficulty in discharging the office correctly, (2 Cor. 2:16), and the inadequacy of being paid in such a ministry. The office of the true minister holds the task “to declare unto man his righteousness.” In this he preaches God’s Law to bring men down to the pit, and then, though the man is “as sick and foul as sin can make him,” in Christ he is righteous and just. A true minister must tell sinners where righteousness is to be found, and that is only in Jesus Christ the righteous One. This is to show him to deny his own righteousness, and claim and cling to Christ’s righteousness, which is done by faith. In this, both the law and the gospel must be preached. He must maintain this truth and righteousness against all who deny it, against the powers of darkness and all the gates of hell. When the law is preached and someone is brought to true humiliation and repentance, and by the preaching of the gospel to true faith in Christ the Messiah, “then will he [God] have mercy on him [the penitent and believing sinner].” Perkins says, “Notice the sympathy and co-operation there is between the heart of God and the task of the minister.” Ministers must remember when they preach the word of reconciliation, that this is exclusively the Lord’s. They must recall that he works with them, therefore they must use it in a holy manner, in fear and reverence. It is not their own word; they may not use it in any way they please. Perkins then makes application of all this to ministers. He explains that ministers must learn that if they are to have the honor of redeemers they must do the work of redeemers; they must confer with their people and also visit, admonish and rebuke them in private; they must aim at saving souls. In this half of the work Perkins uses Isaiah 6:5-9, he explains the context and meaning of the passage in two parts: the means of Isaiah’s confirmation (Isa. 6:1-4), and the confirmation itself (Isa. 6:5-13). The confirmation is divided into three parts. The effect of the vision on the prophet was to cause him to fear. It stunned him and cast him down (v. 5). 2. The comfort he received which raised him up again (verses 6-7). 3. The renewing of his commission (verses 8-13). Perkins explains the “unclean lips” of Isaiah, and compares that the words spoken by the minister, and the attitude the minister should have of his own preaching. He also takes considerable time to expunge Roman Catholic doctrine and teaching (i.e. filthy lips). Then he shows the manner in which Isaiah is not only unclean himself, but is sent to an unclean people. This is because he “dwells” with them, knowing them, as a minister must be among the people of God. 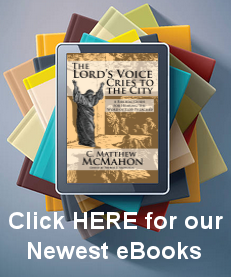 Perkins says, “It is well known that the best and most careful ministers complain bitterly of the pollutions of their people.” That which prompted Isaiah’s uncleanness and confession was a vision of a holy God. Perkins explains the differences between sin and holiness, and then demonstrates the manner in which God’s presence has varying degrees. He says, “God is present to our conscience, when we think of him, when we name him, or hear him named or mentioned by others; is nearer to us in the presence of his ordinances (such as his Word and sacraments and public worship in the congregation), and there is a particular sense of the presence of God at the last judgment, when all men shall stand before him in his immediate presence to receive his judgment on them. Perkins practical implications from all this, and their corollary doctrines, are telling. Consider the extreme presumption of ministers who rashly enter the ministry. We learn here the serious situation of those ministers who are so presumptuous as to exercise that holy function but who remain in their sins without repentance. Many ministers come into God’s presence unsanctified, and in their sins, little concerned about how loosely they live before their people. It is the glory of a church to have its doctrine powerful and effectual for the winning of souls. Lastly, all conscientious and godly ministers may receive comfort here not to be discouraged or driven from God’s presence because of their sinfulness or weakness. God’s people also learn some important lessons from this passage about ministers. Perkins begins, “In view of the fact that God’s presence is so glorious and fearful to our nature, we learn how mercifully God has dealt with us, teaching us not by himself, or by his angels from heaven, (which we could never endure) but by men who are like ourselves.” Then, since God’s presence is so glorious in itself and awe-inspiring to our nature, we are taught to prepare our-selves by prayer, humiliation and by the confession of our sins and unworthiness before we come to God’s Word or sacraments. Lastly, Christians learn here the different natures and properties of sin and holiness. Sin, the least sin, even the sinfulness of our nature, makes us afraid of God’s presence. These last forty pages of the treatise deal with the foundation and substance of Isaiah’s consolation in his forgiveness of his sin, and then his commission. The time, (“Then”), by whom it was done: an angel, (“one of the seraphim”); the manner in which he did it (speedily: “he flew”). The instrument or outward sign, (“a live coal…from the altar”). Its outward application, (he “‘touched [his] lips”). The time was after his amazement, not before. The seraphim touched his lips, which shows that there are orders of angels, and they gloriously guard God. He touched Isaiah’s lips speedily, which shows their willingness and love for God’s people.”The angel uses a coal from the fire which we would expect would have destroyed his powers of speech, instead, by God’s appointment and the power of his words, makes him speak better. This suggests that an adequate and able teacher must have a fiery tongue. In touching Isaiah’s lips we find the remedy, and all ministers should learn this from the wisdom of the angel, to apply the medicine of their doctrine to the time, people and place which are actually infected. The angel tells him his iniquities will be taken away and his sins purged, where faithful ministers must learn from this the proper way of comforting someone with a troubled and distressed conscience. Isaiah is asked a question by God, “Whom shall I send, and who will go for Us?” The prophet says, “Here am I! Send me.” The renewal of his commission is “Go, and tell this people.” God shows how hard it is to find an able and godly minister. Here the Lord shows ministers that he seeks men who will purely seek and undertake this task to make their priority to honor God and to gather his church. Then in all their work and ministerial duties they are to truly strive for the same goals: preaching God’s Word as God’s Word, diligently reproving, exhorting, and admonishing their people and shining before them in lives marked by good works. Ministers should learn from this, not to be content merely having the name and title of minister. They must seek to adorn the gospel. God sends a minister to preach, and he goes for God, for God is their master. Ministers are God’s servants, they should be concerned about their Master’s glory and be ashamed to do anything, either in their doctrine or lives, which may dishonor him. The reproduction we did was to simply cover “faithful preaching,” and we still have on our list the need to publish separately, “The Calling of the Ministry,” in an updated form. The Art of Faithful Preaching, page 12. This is an important distinction in that Perkins sees the Old Testament as the Covenant of Grace, but with respect to a republication, or repetition, of the statements of the Covenant of Works. The Covenant of Grace, though, is not the Covenant of Works. Nor does Perkins believe that the Covenant of Works is the Mosaic Covenant in this regard. The Calling of the Ministry, Page 13, unpublished MSS still in proofing stage. Page 105. “”Ministers must learn from this never to look down on their people, but carefully to fulfil their duties of ruling and teaching.